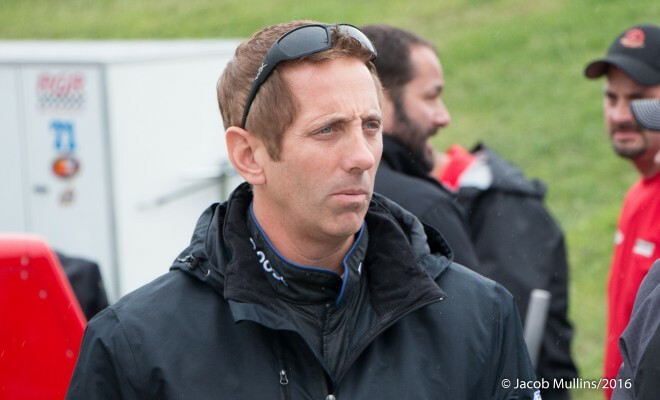 In a move that didn’t take many by surprise, Greg Biffle decided that his reign at Roush-Fenway Racing needed to end. However, the move that is taking fans by storm is the decision for RFR to “lend” Chris Buescher to JTG Daughtery Racing in 2017, a rival manufacturer and organization. Buescher was tabbed to drive the newly-created second team at JTG Daughtery Racing in 2017. It is expected that Roush-Fenway will scuttle Biffle’s No. 16 team, which could make the No. 16’s charter a hot commodity this offseason. With the addition of a second team, JTG Daughtery could use the charter from the No. 16 to lock them into all 36 races next year. Now able to pump more time and research into its organization, both RFR and Ford Racing will be able to work on improving their on-track product while keeping the 2015 NASCAR XFINITY Series Champion under contract despite driving for another manufacturer. Roush-Fenway has been winless in NASCAR’s premier series since 2014. Biffle joined car owner Jack Roush in 1998 and he made 504 of his 510 career Sprint Cup for the team. Together the legendary race owner and racing veteran won 19 races and finished runner-up for the Sprint Cup in 2005. In addition, the duo also won the Camping World Truck in 2000 and XFINITY series championship in 2002. “I just couldn’t do this anymore,” Biffle noted. “I’ve been the one carrying the company banner. I’ve been the one who kept re-signing. I was all of those things. But it just didn’t get any better. I didn’t see a light at the end of the tunnel, so I decided I’d rather do something else – even if it means not driving anymore. Biffle is just the most recent top-tier driver to leave RFR since 2012. The season, Matt Kenseth left the organization to joining Joe Gibbs Racing, followed by Carl Edwards in 2015. Edwards also joined JGR. At this time, Biffle hasn’t announced his plans for his racing future.